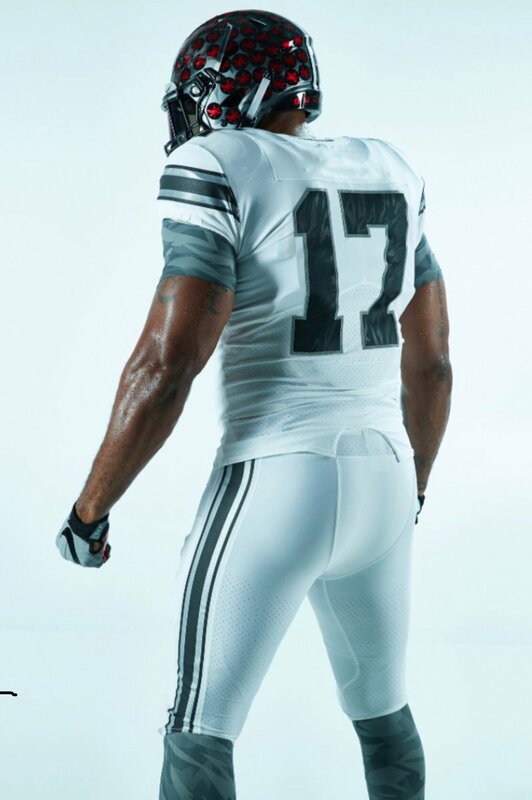 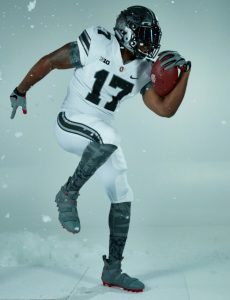 On Tuesday, Darren Rovell of ESPN posted on twitter a first look at the uniforms the Ohio State Buckeyes will be wearing in their game against the Michigan Wolverines in a few weeks. The Buckeyes will be taking on the Wolverines on November 25th at noon, at Michigan. The Buckeyes will be wearing LeBron 11 Soldier cleats for this game. 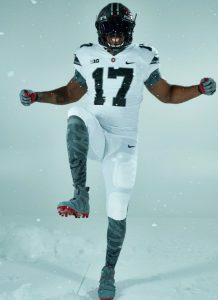 As of right now the Buckeyes stand at 8-2 and are ranked 8 in the AP poll and the Wolverines are also 8-2 and are ranked 19. 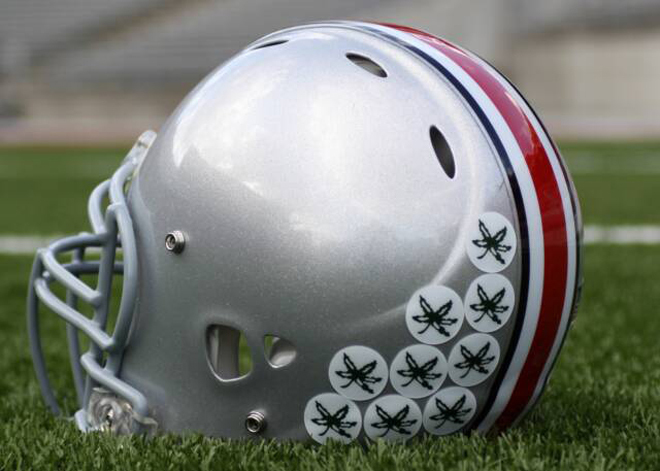 Depending on the outcome in the next few weeks in other College Football games, this game can be extremely meaningful with the possibility of Ohio State fighting their way into the College Football Playoff.